and turning it into something new, exciting and with meaning, relevance to a whole. symbol. Each point of the star represents a differerent campus. 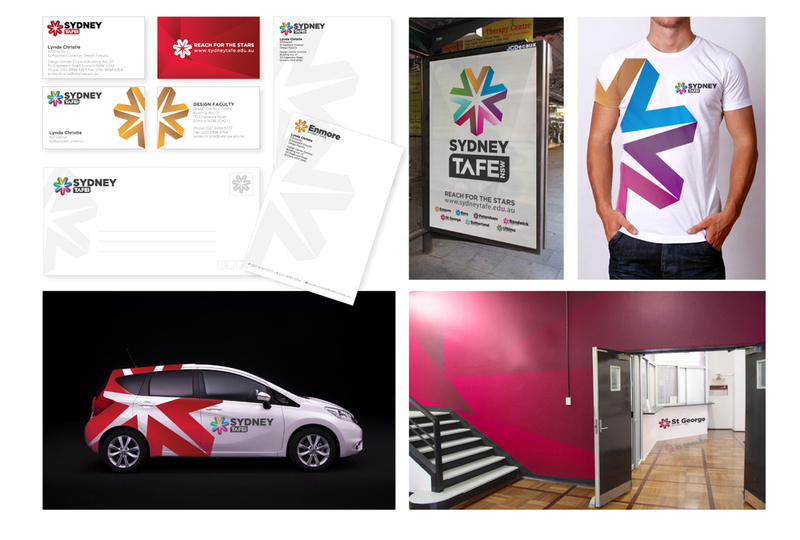 The logo was designed around the idea of taking a part of the existing logo, something recognizable, and turning it into something new, exciting and with meaning, relevance to a whole. 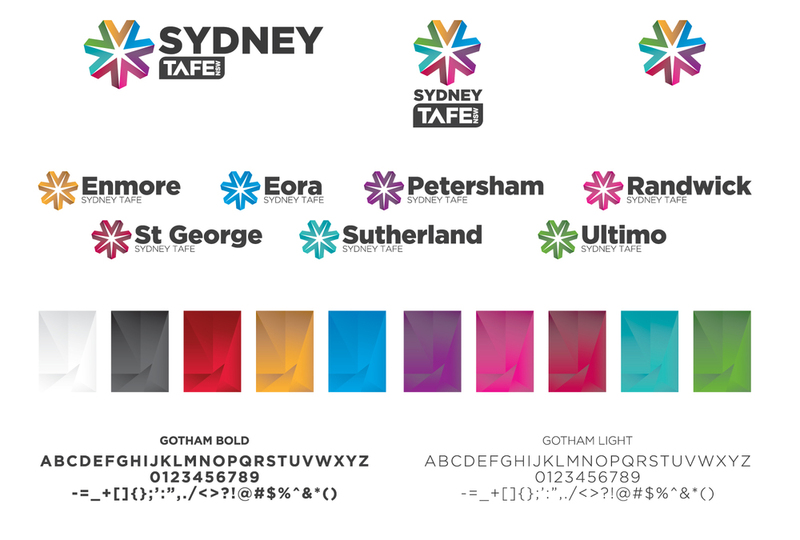 The symbol uses the A (^) out of the existing TAFE logo and takes seven of these A’s (^) to form a star symbol. Each point of the star represents a different campus.